Mario Liberatore, president, Ohio Valley Bank Point Pleasant, presents a copy of the guidelines for a scholarship fund for students of Marshall University’s Mid-Ohio Valley Center, to Marshall President Stephen J. Kopp. 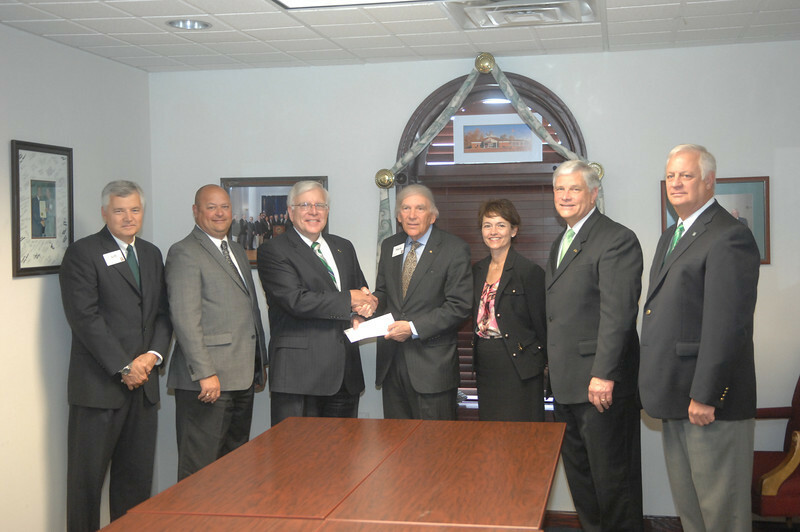 From left: Jeffrey E. Smith, chairman, Ohio Valley Bank; Tom Wiseman, president and CEO, Ohio Valley Bank; Kopp; Liberatore; Christine Anderson, assistant vice president for development, Marshall University Foundation; Dr. Ronald Area, CEO of the Marshall University Foundation; and Homer Preece, director of Marshall’s Mid-Ohio Valley Center. Photo by Tyler Kes.